I missed out on FITBF for a couple of weeks, but I am back so let's play shall we? the grades I suppose, but not the passion and dedication particularly necessary for the profession. 2. As an adult, my dream job would be a professional dancer - background for Beyonce or classical, I don't care, as long as I can prance around for a living. 3. When I was younger I wanted to be just like the Spice Girls - I was fascinated with everything they did - the singing, dancing and ALL THAT TRAVELLING. They just seemed to have more fun than most artists I grew up with. 5. My favorite childhood toy was .. so I was one of those kids that played with books instead! I loved my Enid Blyton and Roald Dahl collection instead. 6. The time I got into the biggest amount of trouble when I was a kid was each time I talked back to my dad. I was pretty opinionated early on in life and that did not fly too well with the powers that be. Of course, now my dad and I appreciate the moments we get to have discussions/arguments - funny how getting older changes things. 7. I get daily inspiration from blogs and glossy magazines. I fly out to the land Down Under this time next week so this weekend is going to be a INSANELY busy getting things organised for the trip. I am terribly excited since I have not been back since moving to New York nearly 1.5 years ago. This is my screensaver at work - I CAN.NOT.WAIT to see it in person again! 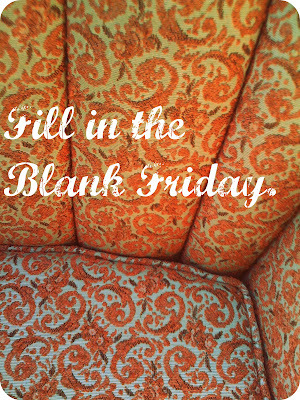 Hope y'all have a lovely weekend and let me know how will you fill-in-the-blanks this week! 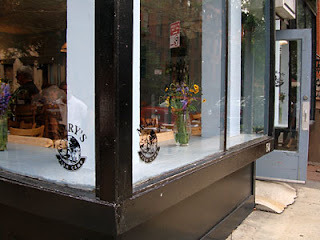 For our usual Friday date night, S and I headed north to the Upper East Side for Japanese. Our usual pre-meal research revealed that Sushi of Gari has been around for nearly 15 years with the UES location being the original and apparently the best of the three in New York. Now, anyone can write a review (sorry, Sam Sifton) so I usually rely on my highly sophisticated, accurately-calibrated ethnic-restaurant-review-indicator: how many of those dining in the restaurant are locals? Truth be told, SoG had a even mix of Japanese diners and what I can only assume to be UES regulars. In any case, that was good enough for us (swear I am not fussy). We tend to over-indulge during these date nights, usually because it heralds the beginning of the weekend. Since we also try and squeeze in a workout before heading out, we are usually STARVING by the time we actually eat. So as much as we had the appetite for the omakase, I have issues with certain types of seafood and instead, we had all of the following: tempura, sushi, sashimi, miso eggplant, negimaki, plenty of sake and banana bread pudding (random, I know) to finish off. The sushi was definitely the stand-out of the meal and we will make sure to order more of those at our next visit. On other news, I took advantage of the early departure from work on Friday for Columbus Day to check out the new Conscious Collection at H&M and to deal with the 25%-off voucher which was burning a hole in my pocket. I really don't care that I am a little vertically-challenged for this frock but I couldn't resist the truly exquisite cream lace detailing, which reminded me a lot of vintage wedding dresses. Besides, it was a bargain with the aforementioned voucher! Did anything in the Conscious Collection strike your fancy? Do you have a fancy restaurant-review-indicator-thingy like I do? Apart from the glorious weather, one of the things we celebrated last weekend was my first wedding in New York, when S' nephew got married at a beautiful reception centre in Long Island. The saree-tying took slightly longer than I expected which resulted in a mad dash the block down 34th street to catch the train to Mineola. Oh the stares we got .. I love weddings - any reason to dress up in a saree really. Otherwise these beautiful outfits end up relegated to the suitcase stored underneath the bed. No Indian wedding is complete without plenty of food, drink and lots and lots of dancing! If you were keen, here is an pretty good video of how a saree is usually draped (bonus: it's made in Malaysia)! 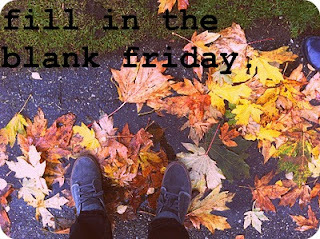 Hope y'all had a lovely weekend too! It's time for another installment of fill-in-the-blank Friday hosted by Lauren! 1. Something popular that I can't stand/just don't "get" are lobster rolls. Seafood on bread = NO. 2. Something unpopular that I secretly love is using a paper agenda to organize my life. I love technology but nothing beats writing everything down in this colourful Jonathan Adler planner. 3. When I've had a bad day I shop? 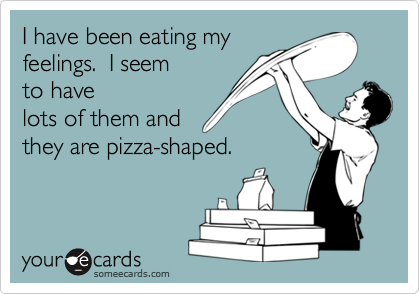 I also have a tendency to eat my feelings. 4. I'd prefer savoury to sweet any day. However I will always say yes to dessert of any kind. 5. Something that makes me nervous is planning the big fat Indian wedding when darling S asks the magic question. Just the idea alone of planning an overseas shindig with a gazillion guests is enough to make this Type-A gal hyperventilate. 6. Something worth fighting for is without a doubt darling S. We have been through exhilarating highs and terrible lows, but we wouldn't be where we are without each others' love, support and encouragement. Besides, he cooks a mean scrambled eggs for me each weekend. How will you fill-in-the-blanks today? I have a love-hate relationship with seafood, in the I-love-chili-crabs but I-hate-lobster-on-bread kinda way. Where I come from, seafood is usually deep-fried or smothered in curry, which I presume is to mask any smell of the ocean. So it should not come as a surprise that it took me nearly 1.5 years in the city (where I eat out multiple times a week), to set foot in a fish shack - Mary's Fish Camp. Big mistake. Big. HUGE. Once again, we arrive at another reason to move to the West Village. The place is itty-bitty. Any ideas of having a private conversation was left at the door since we were literally rubbing shoulders with patrons on either side of us. All that aside, the dishes were fabulous - I can't stop thinking about the lobster knuckles and the golden tile with quinoa and yogurt I devoured. Since I am no longer apprehensive of seafood joints (trick: order the more flavourful dishes on the menu), I have put Pearl Oyster Bar on the list of places to visit next. Blurry but at least I don't look so tired! Tonight I am off to Chelsea Market's Anthropologie to meet Johanna Uurasjarvi and to view Leifsdottir's fall collection. Hope you have a lovely evening too! Earlier today darling S and I brunched at Penelope's - a lovely, homely little spot we had yet to visit despite the fact it's location being a short walk from the apartment. Anticipating the long wait we most certainly had to endure, running errands in the flatiron/union square area sounded like a fab plan. Plans change, naturally .. especially when one walks past the new Marimekko store a mere 5 MINUTES after it opens its doors for the very first time. These are the only two pictures I managed to take of the colourful interiors before being politely asked to put away the (iphone) camera. The first items you notice as you walk into this very vibrant and fun store are the beautifully hung clothing. I tried on a few items to satisfy my curiousity on fit and quality. Of the latter, everything appeared very well-made, even if only the fabric is made in Finland with the rest of the garment constructed elsewhere. I tried on the Arlene dress in a size 36. It's a very cute dress and is great for work due to the conservative colours and design. I would size down to a 34 due to the generous cut (a trait consistent with the other pieces I tried on). Notice extra fabric everywhere even after cinching the waist with the belt of the same fabric. This paperbag-waisted skirt is fabulous - I can't find it on the website but it's of the same fabric as the Arlene dress above. The exaggerated peplum is unintentionally on-trend and it took a lot of effort not to walk out the store with it. I have on the skirt in a size 34. Although the waist fit right, I will need to take rest of the skirt in a little so that the bottom layer becomes pencil-skirt like. Goodness I love you, won't you say you love me too? Then I tried on these high-waisted flares for fun. Now please excuse me while I spend my Saturday evening pouring over all things Marimekko.